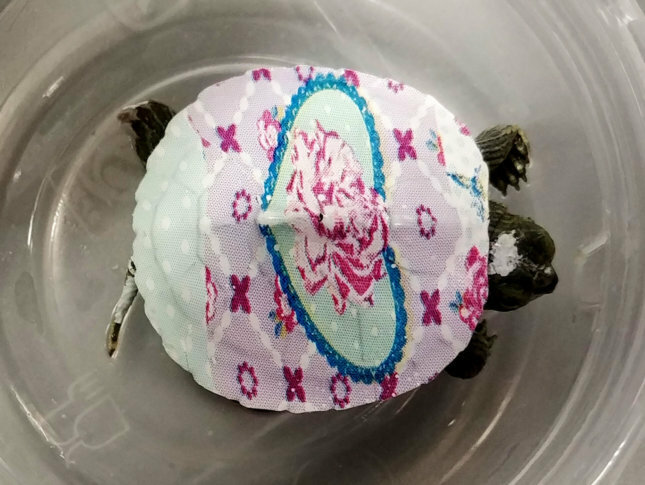 WASHINGTON — A family returning from a trip to China earlier this month brought some special cargo with them through Dulles International Airport: four baby turtles with brightly painted shells. The family declared the turtles to a U.S. Customs and Border Protection officer, who then referred the family to an agriculture inspection. The turtles were detained for examination. A U.S. Fish and Wildlife Service inspector identified the turtles as Trachemys scripta elegans, or red-eared sliders. These are “probably the most widely illustrated turtle in the world,” according to a fact sheet from the U.S. Geographical Survey’s website. The family actually needed permits for the turtles imported as pets, which they did not have. They were issued a warning and given a one-time permit, U.S. Customs and Border Protection said. The turtles went home with their new family. According to U.S. Customs and Border Protection, young turtles have the risk of carrying salmonella. The agency said a multistate salmonella outbreak last year was linked to pet turtles. The family, who returned on Sept. 5, had bought the turtles from a street vendor.